Coaches Challenge: 800m runs and front squat (weight for the front squat should be your Fran weight or higher). SCHEDULE NOTE: THIS WEEK ONLY the Tuesday 6pm WOD will be canceled. The last WOD tuesday afternoon will start at 5:15pm. Check here for the current schedule. This week was a great one. It started with a simple story from Trenna, one of our newest members. She told me that she was able to climb onto a chair get something out of the cupboard and get back down…what’s the big deal you ask? She was able to do this without the assistance of her husband and she didn’t have to hold onto the chair either. This was not within her capacity a few weeks ago. This is evidence to her and I, that CrossFit does work and it is for everyone. It’s these little things that make life better, that’s why we CrossFit, to make our every day life better. Congratulations to Tyler Roberts for placing 21st overall with a time of 15:56 at the Murray Invitational, Utah’s premier High School Cross Country event, which saw 61 schools from Utah compete. A big shout out too to the SVCC Team who came in 5th overall. Especially exciting is they beat all of the teams in the region, so they are on track for a region championship. Keep up he great work. This picture says it all! Nicely done Brock! Brock sets a new PR and Box record with the deadlift....345#'s!! Congratulations to Brandi Bastain for completing the LOTOJA! This was here first time doing this ride solo and we are proud of her for completing this cycling event. Tammy Call has been with us for just over two month and she completed two rounds of the “Rookie” workout. I just had to take this picture as this is NOT Tammy’s regular post wod position…you can see from a picture of the board below that Tammy gave it her best and has made a quantifiable improvement! Well done Tammy! Saturdays nutrition seminar was great. Thank you all for attending and increasing your knowledge. A few quick tips from the discussion. 1) Make your eating decisions at the grocery store, not in the house. If you purchase foods that aren’t the best choice, you’ll eat them. Start by not having them in your house, that will make things a lot easier. 2) Shop on the outside of he grocery store (the bakery doesn’t count 🙂 )… Meats and Vegetables, some fruit, nuts and seeds, little starch and NO SUGAR. Another tip along the same lines is eating foods that don’t have labels. 3) Make permanent changes. This isn’t the “biggest looser”, “weight loss challenge of the month club” or “let’s eat good for a month and see how we look game”, this is real life. Take small steps that you can live with, make reasonable changes and realize that you can do better one day at a time. Don’t overwhelm yourself with too much, just pick one thing a month and work on it. Together we pause to remember the victims, grieve with families and friends, and honor the heroes who have sacrificed to save lives and serve their country. 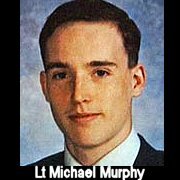 Tomorrow we will remember Sept 11, 2001 by doing a Hero WOD called Murph. Anyone from Cache Valley is welcome to come join us for the WOD at 7 am and the free nutrition seminar at 8:30 am. Partition the pull-ups, push-ups, and squats as needed. Start and finish with a mile run. If you’ve got a twenty pound vest or body armor, wear it. Don’t forget, the workouts are always scaleable and if it looks to hard, click here. QUESTION of the DAY: What’s your motivation to come to CrossFit each day? And, once you answer that, what’s your motivation to continue moving through the workouts, especially something like “Murph”? or Does a workout like this just simply keep you away? Also a reminder that our Friday afternoon schedule has two classes at 4:30 and 5:30 (however I will be at the box around 4 pm if you need to come early. Dont forget Saturday the WOD will be at 7:am and our nutrition seminar will be at 8:30. The nutrition seminar is fee and open to anyone who is interested in learning more. ‎”Take the first step in faith. You don’t have to see the whole staircase, just take the first step.” — Martin Luther King Jr.
Tabata Intervals ( 20 seconds of work followed by 10 seconds of rest repeated 8 times) is applied in turn to Push Ups, Kettle Bell Swings, Sit Ups and Rowing for Calories with a one minute rotation break between exercises. Each exercise is totaled for a total number of reps (calories on the rower) in each of the eight intervals. During the one minute rotation time allowed the clock is not stopped but kept running. The score is the total from all four stations. SOCCER TABATA – Same as above, however the movements will be box jumps, walking lunges, push-ups and 10 yard ladder dash. A little post WOD Mobility action with with our four newest members!! We also wanted to remind everyone that Saturday (Sept 11th) we will be doing the WOD @ 7am. The WOD will be “MURPH” to commemorate September 11th. The WOD Saturday can be done as a team of two or individually. We are doing the WOD at 7am Saturday as we will be holding our free nutrition seminar at 8:30am which will be led by Coach Brett. Article of the Day: Army Fitness: Unfit Recruits “Too Fat to Fight” Force Army to Ease Training – This speaks volumes about our nations level of fitness. Here is a quote from the article I found particularly eye-opening, “The Army has long rejected potential recruits who are overweight. But the number of potential recruits deemed too fat to fight has been growing in recent years, the result of America’s obesity epidemic, says the Times.” Post your thoughts to comments.